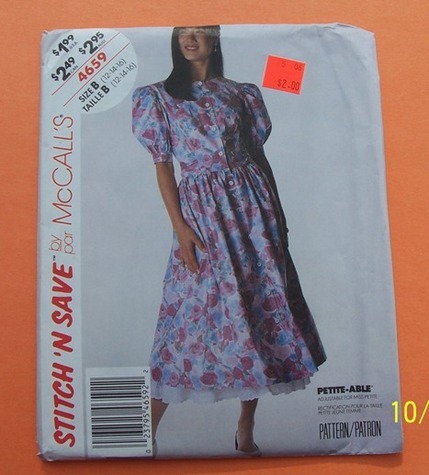 Stitch 'n Save by McCall's 4659. Misses' dress: Front button dress has front and back bodice seaming with sleeves, full gathered skirt and back self-fabric ties. Scooped back bodice neckline. Condition: uncut/copyright 1990. Size: 12,14,16 Petite-able.